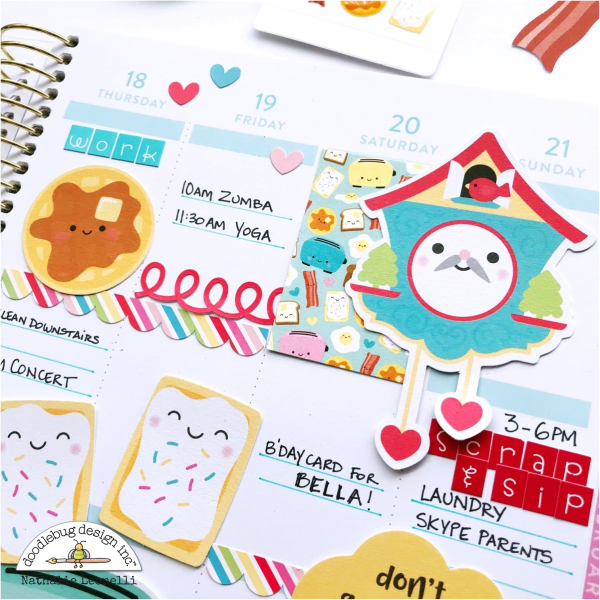 I'm very excited to share how I have used the brand new So Punny collection to decorate my planner. This new range is full of fun elements food, office, love related that can be used in many different ways! I decided for this spread to focus on one of my favorite meals of the day, breakfast! Ask my husband, I can not skip breakfast! This is how my planner looks at the start of the week. As it is a functional planner, I like to leave some space to write more to dos and errands as the week goes. I used some yellow washi from the candy stripe assortment but also loved using some border stickers from the So Punny This&That 12x12 sticker sheet. As soon as I added those the whole spread looked more festive and colorful! Not to mention that they bring cohesion between the two pages. The teensy type sticker sheets are my favorites! They each have three different alphabet styles so you can bring variety but keep the same colors. I used two styles from the ladybug sheet, two styles from the swimming pool sheet and one from the bumblebee sheet. Finally, I created a few accessories to pretty up my planner even more! 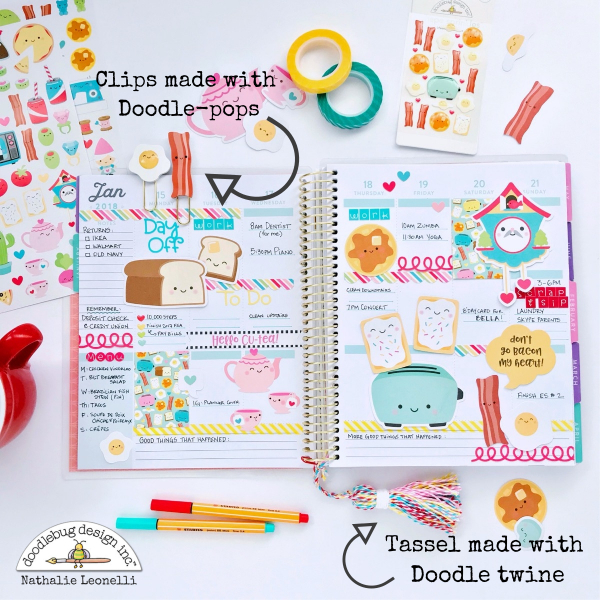 I hope to have inspired you to use the new So Punny collection into your planners! And I didn't even talk about the puns! That might be for another post! This is just so cute! I love the So Punny line ... too darn cute! 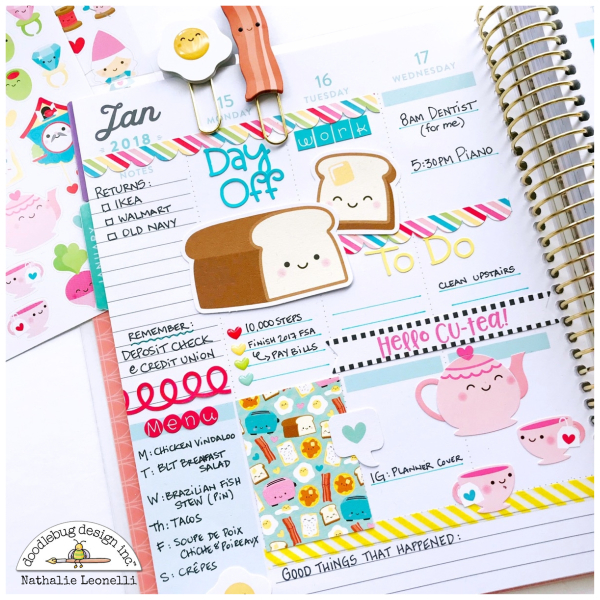 Fabulous planner spread! I am a breakfast girl too! !